Take the photo tour here! We love to hear from our clients and we want you to hear from them also! The following agencies, which are located within our area, are here to serve you! Check out all of the departments of Greene County Government. From “Administrator to Youth Bureau” all of the Greene County departments are here to serve the citizens of Greene County. Serves, empowers, and advocates for persons in need. Proudly serving Greene County residents, we are continually seeking grant funds that will help us to achieve our goals and those of our fellow neighbors. According to their website “Community Action of Greene County, Inc. is the designated anti­poverty agency serving all of Greene County. The Agency also serves Columbia County through its Domestic Violence and Senior Companion Programs, and Ulster County through the Senior Companion Program as well. Through a variety of programs and emergency services aimed at assisting low income and vulnerable populations achieve self-­sufficiency; we strive toward our mission of “Creating Opportunities, Fighting Poverty, Changing Lives”. Provides Head Start services for 197 children (3­5 years) in 5 locations. In addition, multi­disciplinary evaluations, special education and/or therapy services (Counseling, Speech, Occupational, and Physical therapy) are provided to children who qualify, ages birth to 5 years in homes or center-­based programs. Mental Health Association of Columbia­-Greene Counties, Inc. The Mental Health Association of Columbia-­Greene Counties, Inc.
Twin County Recovery Services, Inc exists to help alleviate the devastating effects of chemical dependency in the communities of Columbia and Greene Counties. A private, non­profit organization incorporated in 1974, its programs are licensed by the New York State Office of Alcoholism and Substance Abuse Services and operates according to the regulations of that Office. Programs in Greene County include out patient clinic services, a residential program for women, a community and school based prevention program and a drinking driver program. Insurance open enrollment thru the marketplace has ended for 2015. Kayla Eacott, our certified application counselor, invites you to make an appointment with her to apply for insurance. Medicaid and Child Health Plus can be applied for ALL year, not just during open enrollment. You may need to bring documentation. Please call 719-3580 with any questions. GCFP has completed its construction, expanding its clinical space with the remodeling of conference room into 2 new patient rooms, and a utility/laboratory room to meet current laboratory safety regulations. The added space gives clients less wait time for counseling measures as well as simple laboratory procedures. This program trains students to be ambassadors for Greene County Family Planning and Public Health. The students can be used as resources for school nurses and guidance counselors with the goal of ‘teens helping teens’ make smart decisions. This initiative follows the newly released NY State Youth Sexual Health Plan Agenda which was a collaborative effort among State Education, Health, and Criminal Justice departments to ensure that accurate sexual health information and quality health services are made available to all New York State youth. GCFP’s Facebook page has valuable information for all ages. The staff has enjoyed creating posts for our services, reminders of weekly recurring Teen Walk-In clinics, STI clinics, and other events hosted as well. Please “like us” and check out our creative posts! Laura Churchill has been appointed as the Deputy Director of Public Health/Clinical Services. GCFP congratulates Laura and appreciates her knowledge and insight into maintaining a successful, sustainable program. The Nurse Practioners and RNs are now going to the local jail facility to do screenings for HIV, HepC, and STD’s. They have been assisting with prevention education, risk assessment and counseling. Kayla Eacott, our Senior Principal Family Planning Aide, just received training in May to become a Certified Application Counselor (CAC). Kayla is now able to assist and enroll clients for insurance under the Affordable Care Act. Starting this June, Kayla will be available to answer your questions regarding enrolling for insurance coverage and can facilitate your application. Congratulations Kayla! GCFP is now performing Hepatitis C screenings according to the NY State Law for those at risk and uninsured or are existing clients of GCFP. Please call for an appointment or if you have questions regarding the symptoms and risk factors. May 19th was declared National Hepatitis C Awareness Day by Greene County Legislator, Gene Hatton, and GCFP staff was ready in the clinic for walk-in screenings! In December, GCFP was recognized by the NY State Center of Excellence for Family Planning and Reproductive Health Services with a Leadership Award recognizing ongoing leadership and commitment to providing high quality evidence-based care by assuring clients have access to effective contraception, especially LARC’s at every visit. GCFP was ranked #1 in the state for increasing the % of clients leaving with LARC’s. Congratulations to the entire staff for this effort! Laura Churchill, Program Administrator/Interim Public Health Director, and Penny Martinez, Health Educator, travelled to Washington, DC in April to present the results of an advertising campaign centered on the use of the copper IUD as Emergency Contraception grant that was awarded to GCFP in the fall of 2013. The results were presented to members of NFPRHA at their National Conference. As a result of this campaign, since November 2103, 21% of clients chose the copper IUD as a form of EC (Emergency Contraception). There was also a 54% increase in other IUD insertions and no pregnancies resulting from the copper IUD group. The staff at GCFP called the copper IUD, Plan C, named by our own Nurse, Wendy Johnson. A You-tube video ad and Face book page called Planc4me was created as well as billboard ads in 3 locations around the County. Pens and card-stock ads were also given as promotional items during outreach and education. GCFP plans on continuing the work of this grant and looks forward to furthering our Title X mission. GCFP’s Face book page is up and running thanks to help from Kuasha Paul, our Public Health Intern from SUNYA. The staff has enjoyed creating posts for our services, reminders of weekly recurring Teen Walk-In clinics, STI clinics, and other events hosted as well. Please “like us” and follow us weekly. Spread the word to males about our services! Please see the link to our Face book page under Quick Links! We will be updating with newer photos soon. New additions for MS/HS presentations including STD lab activity and BINGO. Adding multiple sessions at community organizations to get our services known! 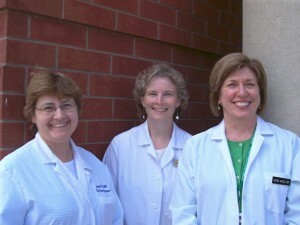 Nurse Practitioners (NPs) and Nurse Practitioner Advocates, recipients of the prestigious State Awards for Excellence, will be honored during the American Academy of Nurse Practitioners (AANP) 27rd National Conference in Orlando, Florida, June 20-24, 2012. The 2012 recipient of the State Award for Nurse Practitioner Advocate for New York State is Laura Churchill, FNP-BC,MSN. This award recognizes the efforts of one individual from each state who have made a significant contribution toward increasing the awareness and acceptance of the NP. Ms. Churchill is the Program Administrator of the Greene County Family Planning Program, a department of Greene County Public Health Nursing Services. Ms. Churchill had previously worked in a Federally Qualified Health Center in a rural, underserved area of Western New York. She also previously worked in a private practice. Her colleague at Greene County Family Planning, Marianne Powers, FNP-BC,MSN, stated in her nomination of Ms. Churchill for this prestigious award that “Ms. Churchill possesses a strong academic and clinical knowledge base but also has the determination and finesse to keep a County STD and Family Planning clinic open and accessible to the residents of our area. Ms. Churchill directs these programs efficiently and cost effectively on limited funds from Greene County, the New York State Department of Health and the Federal Title X program. Through her efforts, and with the longstanding support the Greene County Legislature, these programs have continued to bring high quality and compassionate reproductive healthcare to men and women who otherwise may not have healthcare. 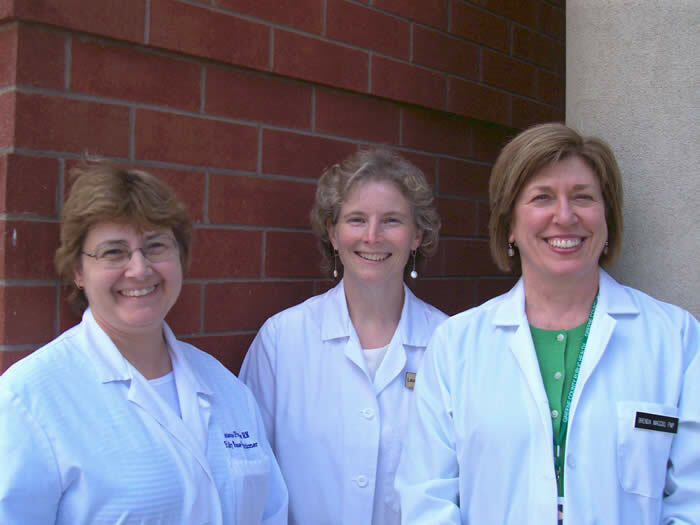 Ms. Churchill has also mentored and supervised Nurse Practitioner students as they gain clinical experience enabling additional clinically trained Nurse Practitioners to confidently enter the healthcare field. Although Laura is the Program Administrator, she continues to see clients for their clinical care. Her high standards are evident, engaging each person with compassion, equality and attention to cultural diversity.” The staff Greene County Family Planning is proud to have Laura Churchill as our leader and congratulate her on this award. The American Academy of Nurse Practitioners (AANP) is funding the conference costs as part of the award. Also included in the award is a complimentary membership in the AANP and recognition at two events during the conference, the annual AANP membership meeting and the special Salute to States Event and Reception. The AANP was founded in 1985 and is the oldest, largest and only full-service national professional organization for NPs of all specialties. With more than 34,000 individual members and over 170 group members, AANP provides national representation for approximately 155,000 NPs. AANP continually advocates for the active role of NPs as providers of high-quality, cost-effective and personalized health care. For more information about AANP visit www.aanp.org. Due to the recent retirement of a key member of the team at Greene County Family Planning there has been a change in the leadership of our program. Barbara Caldara, N.P., former Program Administrator, retired effective May 29, 2009. Barbara devoted many years to clinical and administrative tasks here. Her friendly smile and sense of humor as well as her highly skilled, sensitive, and compassionate care made a positive difference in the lives of hundreds of our clients. Barbara was highly respected by both her colleagues and our clients and will most certainly be missed. Congratulations are due to Laura Churchill, MS, FNP, as she was promoted to the position of Family Planning Program Administrator effective June 1, 2009. Laura joined Greene County Family Planning in 2004 as a fulltime Family Nurse Practitioner. Her educational background includes a license to practice as a Registered Nurse, a Bachelor’s Degree in Nursing from the University of Maryland, a Masters in Science degree and certificate as a Nurse Practitioner from the State University of New York at Binghamton, and is board certified as a Family Nurse Practitioner by the American Nurses Credentialing Center. Laura proved to be an exemplary member of our team and was named Greene County Employee of the year for 2008. Laura brought a wealth of experience with her when she joined our program. She has been a registered nurse for 20 years, 14 of them as a Family Nurse Practitioner. Her prior work experience includes employment as a visiting nurse with the Albany Visiting Nurses, as a maternal child health nurse with the Albany County Health Department, as a nurse practitioner in a private practice as well as at a community health center in central New York. Laura has devoted most of her working years to improving the health of undeserved populations. Her work at Greene County Family Planning continues that tradition as Greene County Family Planning provides care to over 1000 clients, including men, women and teens many of whom are low income. The health care that our clients receive here is often the only health care that they do receive. The staff at Greene County Family Planning feels fortunate to have Laura, a talented, hard working, smart, and congenial woman, to work with us as we all continue to strive to reach the goals of the New York State Department of Health, Bureau of Women’s Health Family Planning Program which are to provide accessible reproductive health services essential to meeting key public health objectives including: reducing unintended pregnancies and the need for abortions; curbing the spread of sexually transmitted infections including HIV; improving birth outcomes, and facilitating the early detection and treatment of breast and cervical cancers. Please welcome Laura as she takes on this demanding and challenging role! And speaking of talented, hard working, smart, and congenial women… Marianne Powers, MSN, FNP joined our staff as a full time Family Nurse Practitioner in August of 2008. Marianne has been a registered nurse since 1982 with the last 4 years as a Family Nurse Practitioner. She received her Master’s and Bachelor’s Degrees in Nursing and her certificate as a Family Nurse Practitioner from Russell Sage College. She is also board-certified as a Family Nurse Practitioner by the American Nurses Credentialing Center. Her clinical work experience includes many years in critical care nursing at Columbia Memorial Hospital and in private practice as a Family Nurse Practitioner. Marianne got right to work when she joined us last year and has fit in nicely with both the rest of the team and our clients. Her kind, caring manner is appreciated by our clients. We all feel lucky to have Marianne as part of our team. We are also pleased to announce that Cathy Start, Health Educator, has been chosen by the United States Department of Health and Human Services, Office of Family Planning to participate in the 8th Male Health Educator Training Institute. According to the Department of Health and Human Services “this training is only available to selected individuals. Participation should be considered a privilege and represents that a great deal of trust has been placed upon you by your agency and regional office.” Individuals must first have been nominated by their agency supervisor and then by their state health department. In order to apply for this training institute applicants had to be health educators in Title X­funded programs providing direct health education to males. To qualify as direct providers, health educators must spend at least 50% of their time providing health education to male clients. Health education, as well as clinical services,for males has always been a priority at Greene County Family Planning. Cathy provides health education to both females and males in both school and community settings. The training will take place in July in Dearborn, Michigan. The week long training is intensive and topics to be covered include Fatherhood, Sexual Development and Reproductive Health, Family Planning, Relationships and Communication, Intimate Partner Violence, Sexuality, Cultural Competence, and Health Educator Skills, Knowledge and Application. All costs for this conference are being paid for by our NYS DOH Bureau of Women’s Health Family Planning Program grant and Cicatelli Training Associates. Cathy greatly appreciates this wonderful opportunity. She would like to thank her former supervisor, Barbara Caldara for nominating her and the Greene County Legislature for their approval of her attendance at this conference. Cathy sends a special thank you to Legislator Prest for offering the resolution authorizing her attendance and Legislator Valentine for seconding the resolution. How much do you know about juuling?